Home » CONTESTS » This Easter, remember: bunnies are for loving, not testing! This Easter, remember: bunnies are for loving, not testing! Nearly half a million animals are used in countries around the world for cosmetic animal testing every year, and Canada is one of them. With compassionate Canadians by our side, we’ve been able to make tons of progress. More than 110,000 Canadians have joined the campaign by signing our petition, while 8 out of 10 Canadians support a national ban on cosmetic animal testing in Canada. And we’re closer than ever to making this a reality. 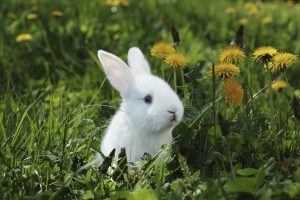 The Cruelty-Free Cosmetic Act is being studied in the Senate and will be on its way to the House of Commons in no time. Until Canada bans cosmetic animal testing, you can take action by choosing to buy cruelty-free products. Not only are you doing something good for animals, but you are also sending a strong message to companies who perpetuate this outdated practice. Taking the cruelty-free leap is easier than ever, what with the plethora of cruelty-free cosmetics available today. Start small and replace one product at a time – remember: baby steps. Every action counts. Learn about which companies don’t test their cosmetics and ingredients on animals – stick to those and make them your staples. Check out these very helpful resources: Be Cruelty-Free corporate partner list, Leaping Bunny, Logical Harmony and My Beauty Bunny to name a few. 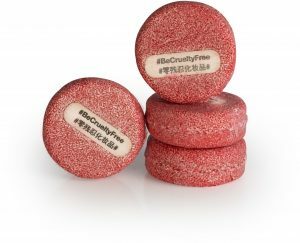 With the re-launch of Lush’s Be Cruelty-Free shampoo bars earlier this week, the #BeCrueltyFree message is louder than ever! There’s no better time than the present to make the jump AND help raise awareness for the campaign At the same time: take a picture of the bar, post it on social media, and tag us! @HSI_Canada. Looking for that perfect lipstick shade for spring? 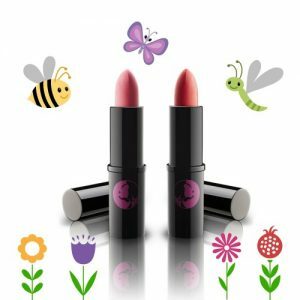 Lippy Girl’s got the Spring Fling Lip Duo just for you. This Canada-based, cruelty-free & vegan company is just the brand to help kick off your new journey. Alltrueist, a Montreal-based ‘conscious’ luxury brand offers a variety of cruelty-free products for discerningly conscious consumers. With new products being added all the time, this company will fast become your go-to, one-stop shop for all your cruelty-free needs. Learn more about the global Be Cruelty Free campaign here. Don’t forget to spread the word… do it for the Easter bunnies! IS YOUR PUP SUFFERING FROM BAD DOG BREATH? TRY TROPICLEAN! Why Does My Cat Still Have Fleas? Help! My Cat Won’t Eat!